Last April as Zach LaVine was sitting out the final 14 games with what was called knee tendinitis—perhaps a concern in his return from ACL surgery or improving draft lottery odds—I asked him about summarizing his return and what he's shown. LaVine had one brilliant game, 35 points in a win over the Minnesota Timberwolves that completed a four-game stretch averaging 26.5 points. But it seemed to take everything out of LaVine, who missed the next game, shot 36 percent the rest of his 12 games and then took the last month off. So what had he shown. I wondered. "I'm just trying to do everything I can to help us win." "That I can be that consistent number one scorer guy, that number one option," LaVine insisted. "I think everybody sees me as being one of the leaders on the team. I want to be that guy in that role and continue to show that. I've shown some spots of that and I'm going to continue to work at that. Going to the offseason that's what I'm working at. 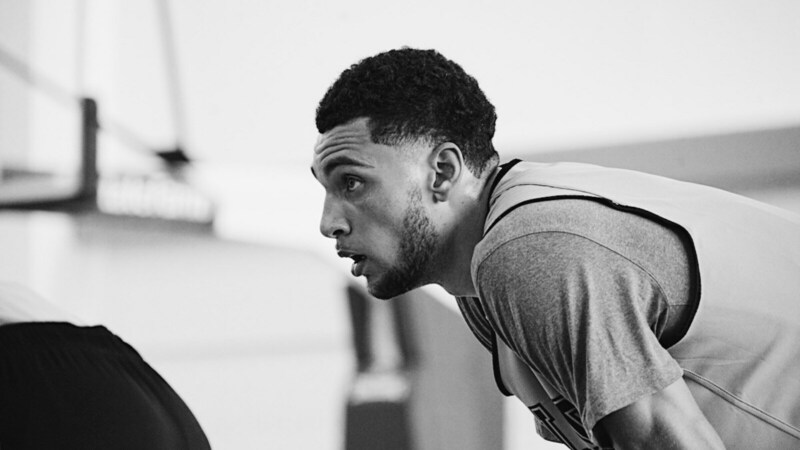 I want to be an elite player in this league and I'm not going stop until I'm at that stage." There weren't too many who really believed that. But there are plenty of believers now. It's just 10 games into the 2018-19 NBA season, but LaVine has been one of the top players in the Eastern Conference, third in scoring in the East and a likely All-Star at this point. 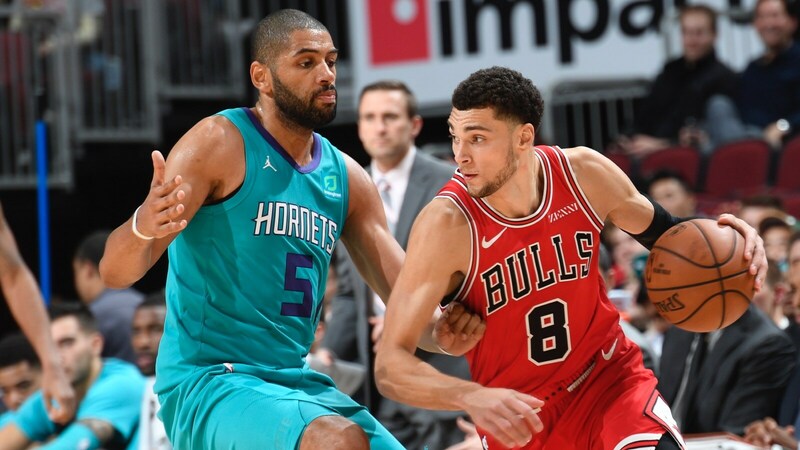 "I'm going out there trying to share the ball, trying to get to the hoop, facilitating and scoring as well," LaVine said after Saturday's loss to the Houston Rockets. "That's my job right now, especially with those (four injured) guys out. All of us have to take a step up right now, one through however many guys we have now. We all have to take a step up. I'm OK with that. That's all the hard work you put in during the offseason; you want that." LaVine has, arguably, embraced as difficult a role for a top player as any in the NBA. Sure, the Bulls are just 2-8 as they play in New York City against the Knicks Monday. But LaVine has not only without complaint but with enthusiasm started games with a lineup of often a pair of rookies and a G-league veteran from last season, barely another player considered an NBA scoring regular. So defenses have schemed, planned and tried to regularly smother LaVine. It's had more effect recently with LaVine shooting 11 of 37 the last two games. Despite that, LaVine still is shooting a career high 46.8 percent and averaging 26.6 points per game, almost eight points per game more than his career best and 10 points per game better than last season's halting return. Plus after starting the season with at least 30 points in each of the team's first four games, LaVine still has scored at least 20 points in every game even as regulars like Kris Dunn and Bobby Portis have left the lineup and non scorers like rookie Chandler Hutchison and Cameron Payne have started along with another rookie not known for his scoring, Wendell Carter Jr.
"Zach is fully healthy and I like the rhythm he's in," said Bulls coach Fred Hoiberg. It's an All-Star type of rhythm as the 6-5 shooting guard through this first month of the season has been one of the conference's best guards and overall players. LaVine is second in the Eastern Conference to Joel Embiid in free throws attempted and made per game, demonstrating his aggressive play. LaVine made 12 of 13 free throws Saturday against Houston to lead a fourth quarter rally. LaVine's 26.6 per game scoring average is ninth overall in the NBA and fourth in the Eastern Conference behind Embiid, Blake Griffin and Kemba Walker. LaVine is second in the Eastern Conference in usage rate to Milwaukee's Giannis Antetokounmpo, showing how much the Bulls have to rely on his play. And his efficiency rating still is top 10 in the Eastern Conference. LaVine also is at career highs in free throw percentage, rebounds and assists as he's often asked to bring up the ball and have the offense run through him with starting point guard Dunn injured. It is one of the most impressive comeback stories in the NBA this season given that a year ago this time LaVine still couldn't play in an NBA game after knee surgery and still would not return until early in 2018. Though Wendell Carter Jr's early season play has been impressive and Hutchison has just begun to contribute, LaVine's play has been the primary reason the Bulls have been as competitive as they have been, if not as successful as they would have liked. "I'm just trying to do everything I can to help us win," said LaVine. LaVine, 23, a two-time NBA All-Star weekend dunk champion, seemed on the way to a breakthrough season averaging 18.9 points when he tore his anterior cruciate in February 2017. He then was part of the big trade with Minnesota for Jimmy Butler that also brought Dunn and the rights to power forward Lauri Markkanen. With Markkanen's strong rookie season, LaVine became an after thought to some. There even were suggestions in some parts of the community the Bulls should not match the Sacramento free agent offer to LaVine last summer. The Bulls did without hesitation. LaVine has proven his worth. And at this rate, he could be a first time All-Star. The All Star selections won't be made until late January with fan voting and then coach's choices for the reserves. But here's a projection at the 10-game mark of the season for the Eastern Conference. The game will be in Charlotte in February and comes to the United Center next season. Giannis Antetokounmpo, Milwaukee Bucks forward: The elongated rubber man now has the players around him and a more sophisticated system for true stardom. Kawhi Leonard, Toronto Raptors forward: The San Antonio expatriate seems fully recovered in both mind and body from last season's issues. Blake Griffin, Detroit Pistons forward: The former Clipper has vastly expanded his game with shooting, ball handling and passing to everyone's surprise. Joel Embiid, Philadelphia 76ers center: The amazing big man has one of the most versatile personalities and games in the league. Kyrie Irving, Boston Celtics guard: It hasn't been his best start, but it is fan voting and the Celtics will be around the top of the conference and have been the preseason favorites of most. Zach LaVine, Bulls guard: It's an entertainment event, and LaVine is becoming also one of the more exciting players to watch with his shooting, driving and athleticism. Kemba Walker, Charlotte Hornets guard: He's been the top scoring East guard all season for an improving Hornets team. Kyle Lowry, Toronto Raptors guard: The tough guy you love to have on your team seems to have gotten over the trade of his buddy DeRozan and is leading the league in assists. Ben Simmons, Philadelphia 76ers guard: He still may not shoot that well, but is as close as Russell Westbrook to averaging a triple double. Jason Tatum, Boston Celtics forward: The second year pro continues to be a prize with pressure play for one of the league's best teams. Serge Ibaka, Toronto Raptors forward: The long distance shooting big man who shouldn't be is having a renaissance season after drifting around the last few seasons. Victor Oladipo, Indiana Pacers guard: The hard charging guard has become one of the league's best late game clutch performers. It's certainly early and the next 20 games will certify the most deserving. There are many other candidates like Khris Middleton, Tim Hardaway Jr., Josh Richardson, Bradley Beal, John Wall, Andre Drummond, Caris Levert, Al Horford and Nic Vucevic. 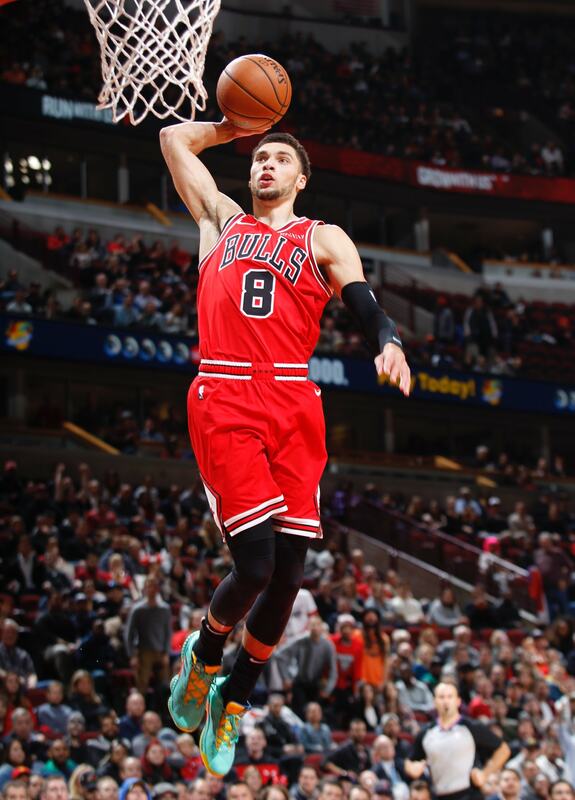 But the East has some stars, and Zach LaVine has looked like one.